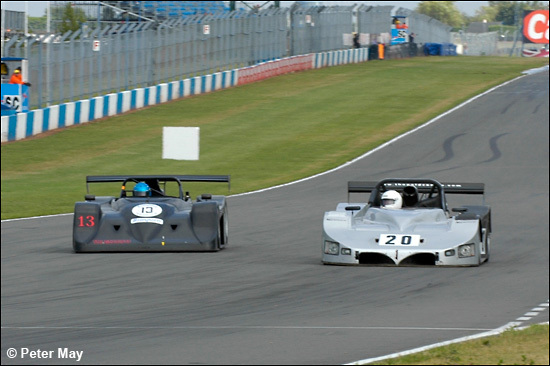 Nigel Greensall drove Dave Shelton’s unique Yamitsu S3000 to a canny win in Saturday’s 50-minute Britsports race. Greensall was second in qualifying, just 0.041 shy of pole, with the works-backed Juno of Mike Roberts and single-seater hotshoe Oliver Turvey third. The Rapier of Michael Christopher and busy Ian Flux was next, then lone driver Howard Spooner, winner of the first Brands Hatch race, in his Jade Trackstar. 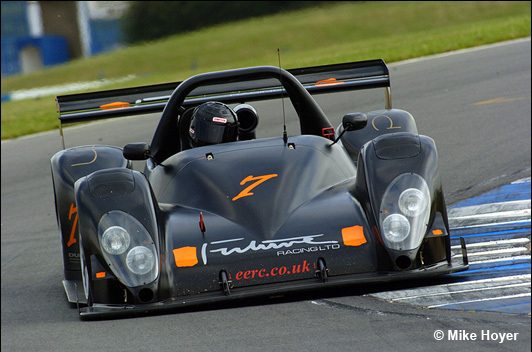 Class 2 pole went to Tony and Simon Freeman in their Radical Prosport, followed by the Prosport LM3000s of William Curtis and Scuffham / Watkins, Simon making a very welcome return to the EERC fold. Here are the Scuffham and Curtis cars. 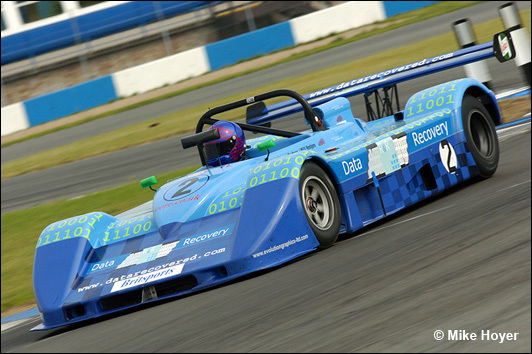 Duncan Williams was the fastest CN class runner in his Radical Prosport, followed by Dave Krayem in a similar car, and the Speads of Nigel Place. The second row of the grid became the front row as the cars lined-up to take the start, for not only was the Chiron missing from pole but Nigel Greensall was starting the Yamitsu from the pit lane. 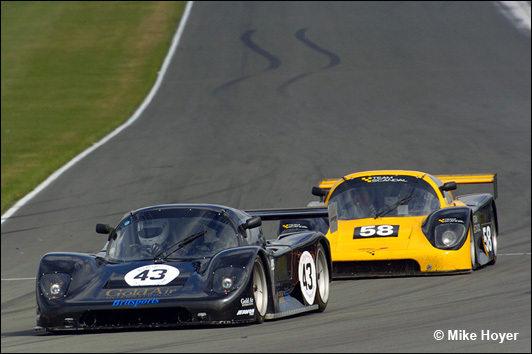 Michael Christopher took the Rapier into the lead as the lights went green, with a fast-starting Simon Heaps into second place, from what had become fifth on the grid. Rob Oldershaw, in his older, privateer Juno SS2, was up to fourth place by lap two, from 13th at the start, and was worrying Roberts in the newer, works-backed machine. Greensall had also been carving his way through from his pitlane start, and was already fifth. No, make that fourth, as he took Roberts across the line on lap four. Sorry, third, as he mugged Oldershaw next time round. By lap seven, he had dispensed with Heaps’ Pilbeam, and set about his pursuit of Christopher. 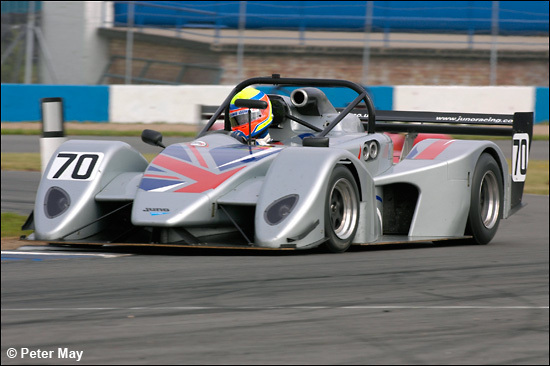 Simon Scuffham suffered a puncture on his Prosport, which sadly put him out of the race (“It exploded half way through the Craners, but I kept it on the tarmac, somehow”), joining early retirements Duncan Williams (Radical) and Mark Higson (Gunn). Greensall was soon with Christopher, and on lap 13, car 13 took the lead at Coppice. Oldershaw had been slowing in his Juno, and his pit call, on lap 15, and with 32 minutes to go, was not scheduled, and he retired. It was time, however, for the majority to take their scheduled stops, Roberts being the first, handing the Juno to Oliver Turvey. Greensall stayed out until the bitter end, on the very cusp of the 70% distance pit-window, remaining in the car during the stop. 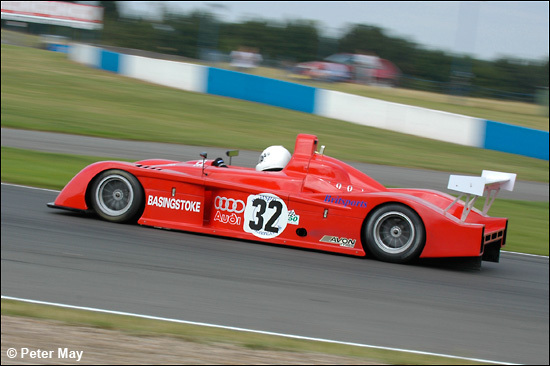 Heaps played a similar strategy in the Pilbeam, as did Doug Setters in his Jade. 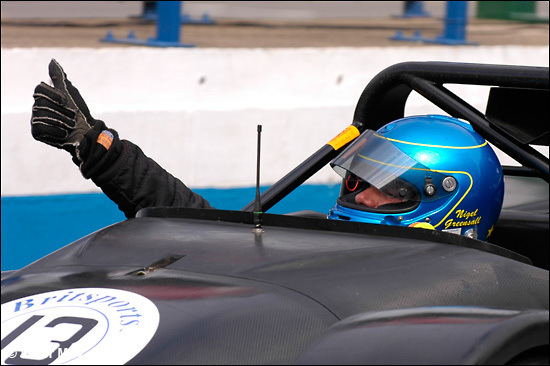 Once the race settled again, Greensall had retained his lead, but was now just over four seconds in front of Flux in the Rapier, but it was Turvey who was on the move, in third, and setting fastest lap at 1:03.385 in his pursuit of Flux. 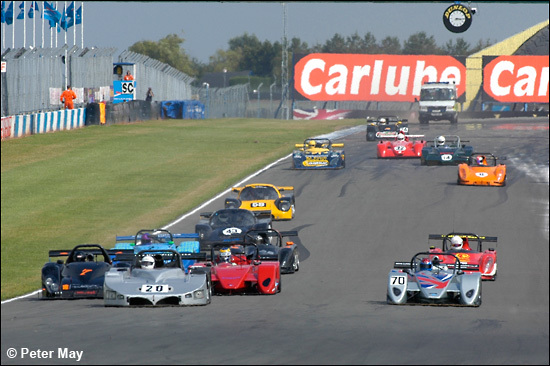 The move was accomplished within the final ten minutes, but Greensall had a comfortable eight-second margin, and took the chequered flag after 44 laps, the second Britsports win in a row for the Yamitsu. Behind the Roberts / Turvey and Christopher / Flux cars, Simon Heaps came home fourth in the Pilbeam, followed by Dave Mountain and Alan Timpany in the Juno SS3, and Steve Hodges, his Pedrazza PRC-BMW under the personal supervision of Fred Goddard this weekend, and at last posting a finish. Tony and Simon Freeman took Class 2 honours, and Nigel Place’s Speads won the CN class.